Good news! The Greater Port Arthur Chamber of Commerce is pleased to announce that after a comprehensive self-review, the U.S. Chamber of Commerce has awarded us with 5-Star Accreditation. This prestigious honor puts us among the top 1% of chambers nationwide. In Texas there are fifteen 5-Star chambers and out of 7000 chambers of commerce in the United States there are 113 with the 5-Star Accreditation. It is the responsibility of every chamber executive to, always, strive to make their chamber better. To do that you must have a measuring device and a map to your destination. The U.S. Chamber Accreditation provides exactly those items. This program makes you self-evaluate every aspect of the chamber. In the past year this effort has led to the creation of the Hispanic Business Council, the Contractors Business Development Group as well as a Membership Committee that is growing the chamber through new sales and retention. The process has taught our staff and volunteers how to research, plan and execute an aggressive and valuable chamber program. 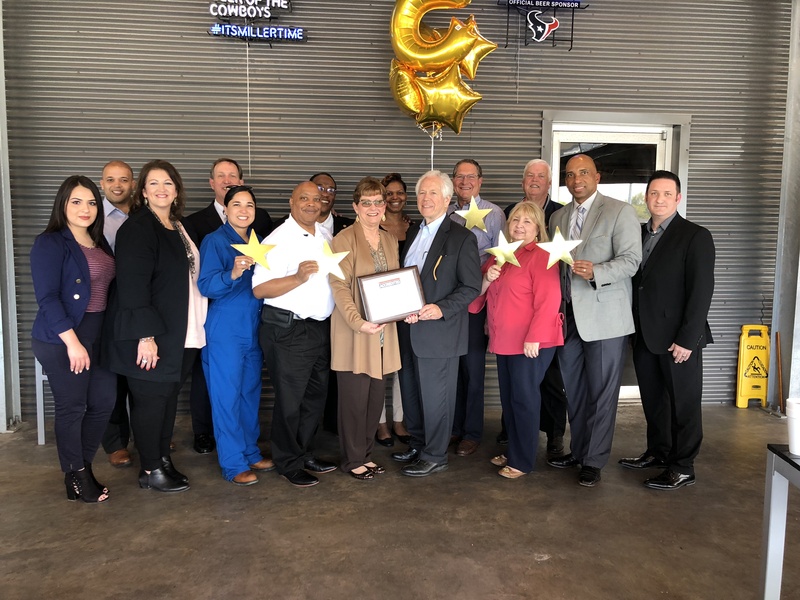 This past year, the staff, board, and volunteers of Greater Port Arthur Chamber of Commerce spent countless hours completing the Accreditation process. Our task: demonstrate competency in 9 core areas ranging from finance to facilities. The result of our hard-work is evidenced by this impressive rating. But in truth, we should all be extraordinarily proud of this milestone achievement. It was a true team effort. For details, please contact Bill McCoy, President/CEO at (409) 963-1107 or www.portarthurtexas.com and click on the -Star Accreditation logo.